The narrative about solar power incentives across the Australian states and territories for the past few months has been one of reductions and cut-offs. At this point in time, all the states that originally had Solar Bonus or Solar Feed-in Tariff (FiT) schemes have either scaled them back or stopped them entirely–first NSW and WA, then more recently SA and Victoria. The Queensland Solar Bonus Feed-in Tariff Scheme, at 44c/kilowatt-hour (kWh), is the last state incentive program that offers a rate greater than 25c/kWh, and is double the current cost of domestic electricity. This article is a brief overview of the program. Queensland Solar Bonus Feed-in Tariff Scheme: Why and for whom? The Queensland Solar Bonus scheme, which commenced on 1 July 2008, pays households with eligible solar power systems for excess electricity that they feed into the electricity grid. This makes the Queensland FiT a ‘net’ FiT scheme, as opposed to a ‘gross’ scheme which pays customers for each kWh of power produced, regardless of whether it is fed into the grid or consumed by you at home. The state government enacted the Solar Bonus scheme in order to encourage residential energy efficiency, make renewable energy more affordable for ordinary households, and to help the solar industry grow. The basic criteria for the Queensland Solar feed-in tariff are fairly straightforward: You must have a solar photovoltaic (PV) system installed on your premises and it must be connected to the electricity grid (i.e. off-grid solar power systems are not eligible). Once your system is installed, you can sign up to receive the FiT. Households must consume less than 100 megawatt-hours (MWh, or 1000kWh) of electricity per year. This is not usually a concern, as the average household will use only around 8MWh annually. Households must have an account with and have entered an agreement with an electricity distributor (Ergon, ENERGEX, or Essential Energy). Households must feed surplus electricity back into the grid in order to be paid or credited on their power bills. The system capacity must not exceed 5 kilowatts (kW), as determined by nominal inverter capacity. There is no incentive in place for systems greater than this size. Only one application may be lodged per eligible premises. 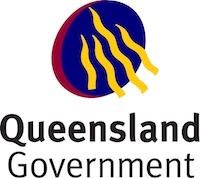 On 7 June 2011 a number of changes to the eligibility criteria for the Queensland Solar Bonus Scheme came into effect–these changes are incorporated into the list above. Solar Bonus Scheme savings and payments: How and when? In addition to the 44c/kWh that households will be paid for the excess that they feed into the grid, there will be significant savings created by consuming the solar power produced by the system, thereby averting the need to use and pay for electricity from the grid. The purpose of this type of net feed-in tariff is of course to encourage people to use less electricity from the grid, mitigating the need for more conventional power plants to be built to meet peak-time energy demand. The government estimates that with a 1.5kW solar system, the average household will save approximately $500 per year–even more if use of energy is closely monitored and behaviour is changed to optimise savings. The metering system used to keep track of your electricity imports and exports will instantaneously monitor when electricity is fed into or drawn from the electrical grid. The number of kWh fed into the grid will accrue over the course of the billing period and be measured when the household is visited by a meter reader. When electricity bills are calculated, the amount exported to the grid will be multiplied by 44c, then subtracted from the amount due. In the event that the value of the electricity exported exceeds the value of the electricity taken off the grid over a 12-month period, the customer will be eligible to have the balance refunded to them as opposed to that amount being carried over as an ongoing credit. Previous post: Western Australia Solar Feed-in Tariff: Can I increase my system size?